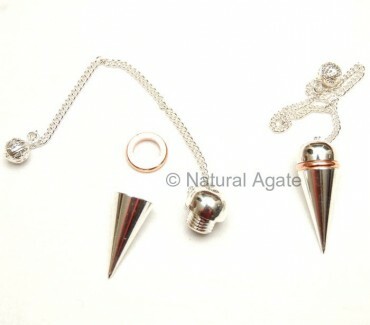 Silver Copper Open Screw Pendulum is nice and useful. Put the herb, paper with a question written on it, sacred wood piece or anything you want and rotate it around yourself to pass the energy or to get the answers. You can avail this from Natural Agate.